An elegant 17th Century Alcaraz Rug from Spain, Country of Origin / Rug Type: Spanish Rugs, Circa date: 17th Century – Warm earthy muted tones create a delicate and detailed tone on tone design in this exquisitely preserved 17th century Spanish Alcaraz rug. 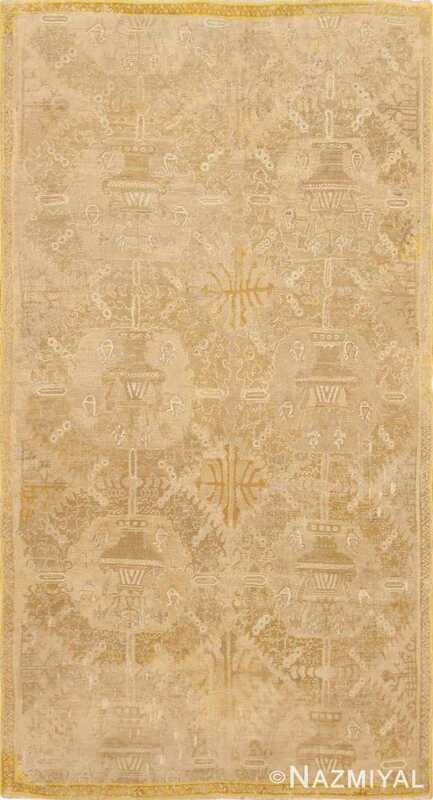 After the expulsion of the Moors from Spain, rug designs began to take on a more European design character. Colors became muted and designs featured bold repetitive artistic elements in the field. 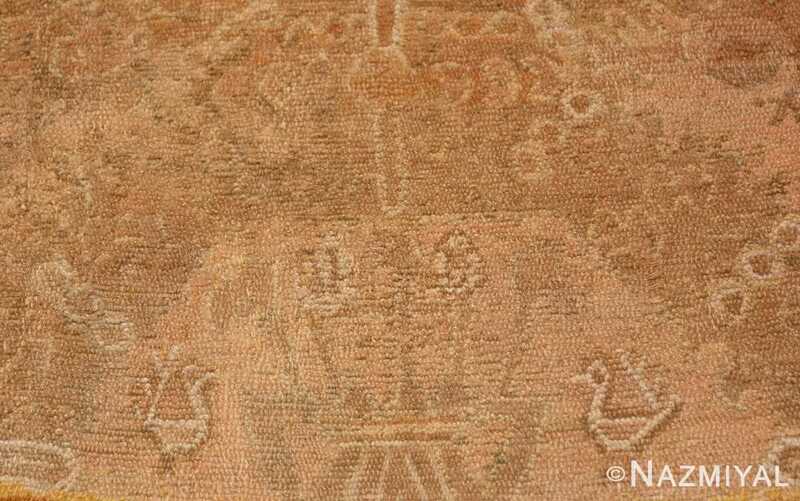 Yet, the influence of the Moors can still be seen, as in the stylized bird motifs and design of the vase seen in this magnificent antique rug from Spain. 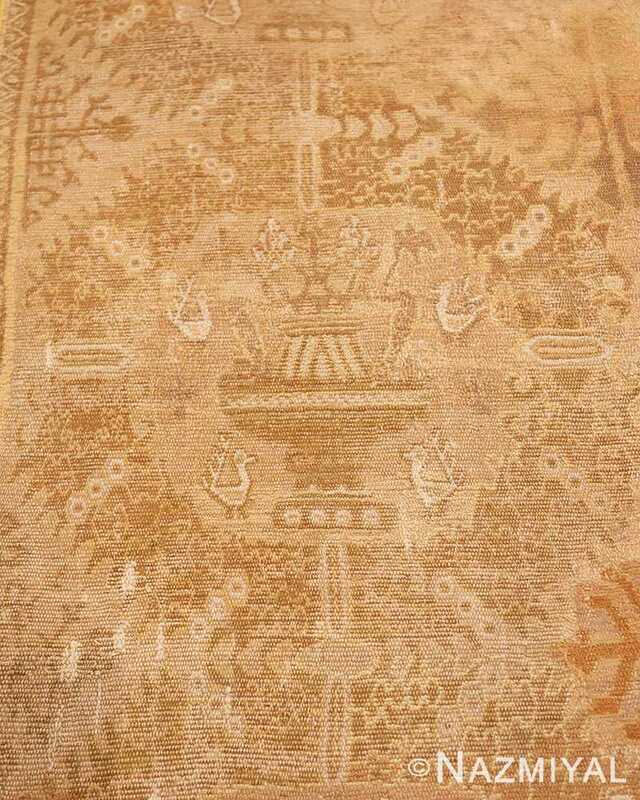 This breathtaking rare and collectible antique Spanish rug relies on the repetition of large medallions for its structure. 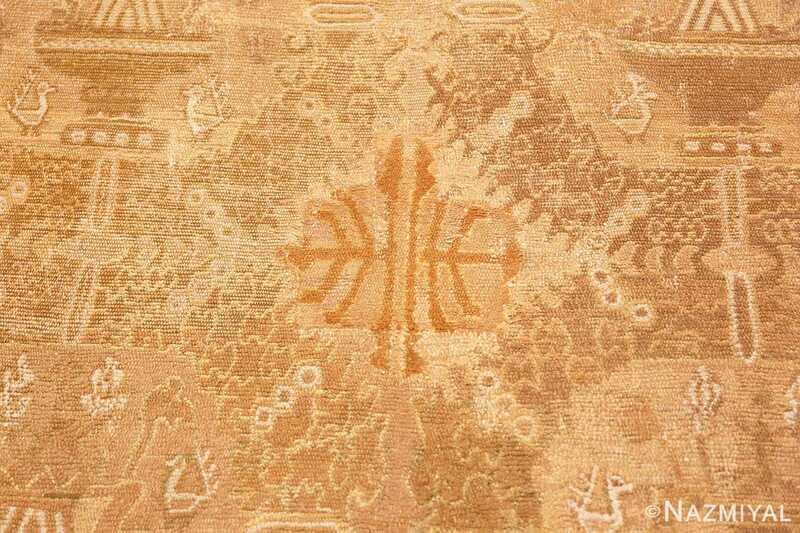 The pattern repeats three times, with partial repeats on the end. 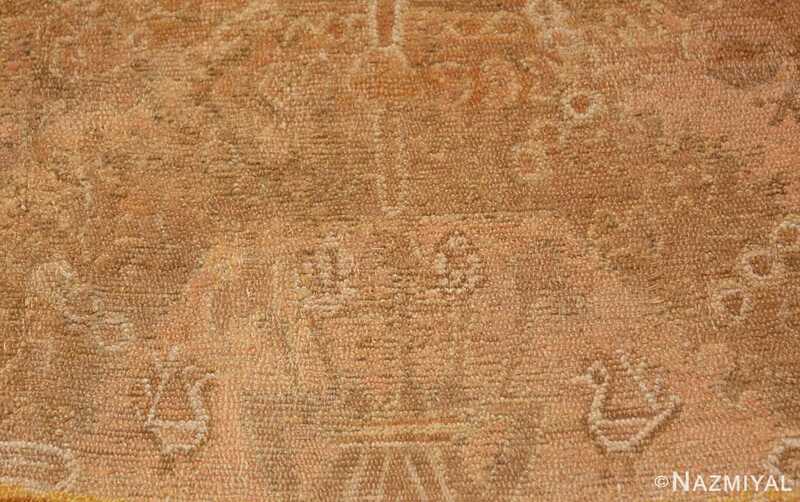 It has a definitive top and bottom as defined by the direction of the birds and vases. 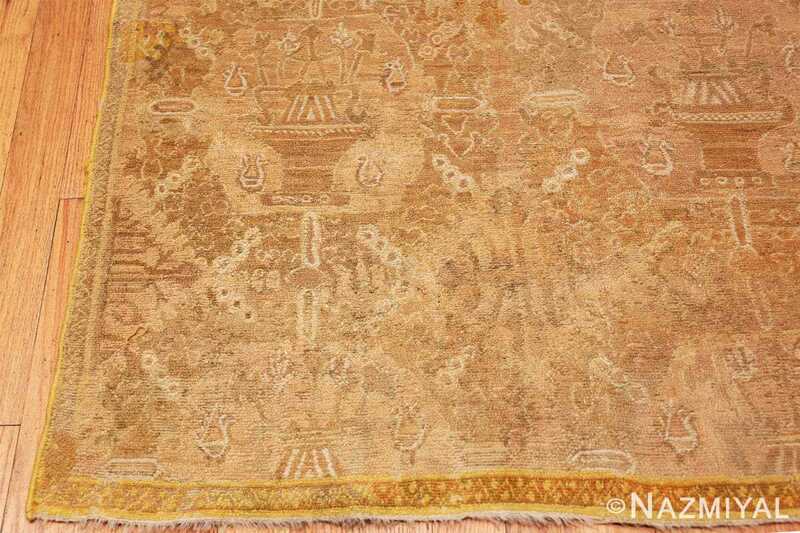 The border of the of this highly collectible rug is small in comparison to the bolder designs used in the field. 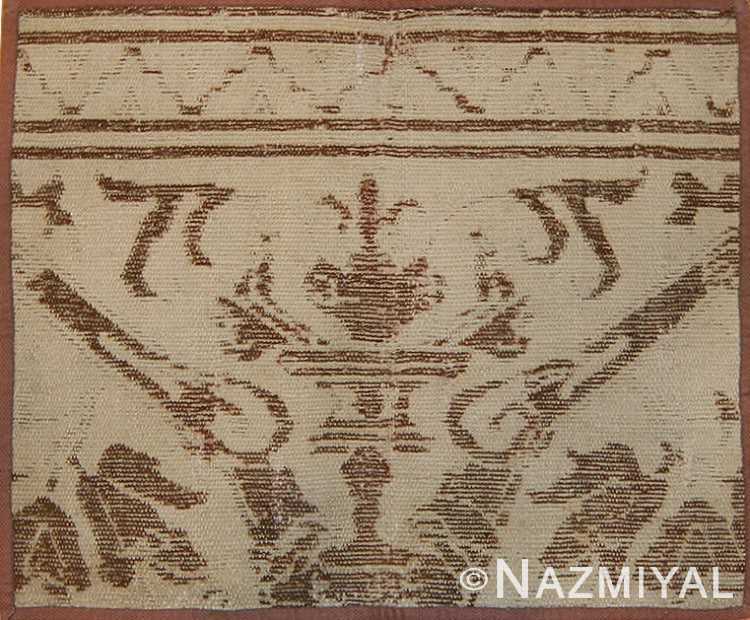 This highlights the field of the 17th century rug and treats the borders as a simple frame. 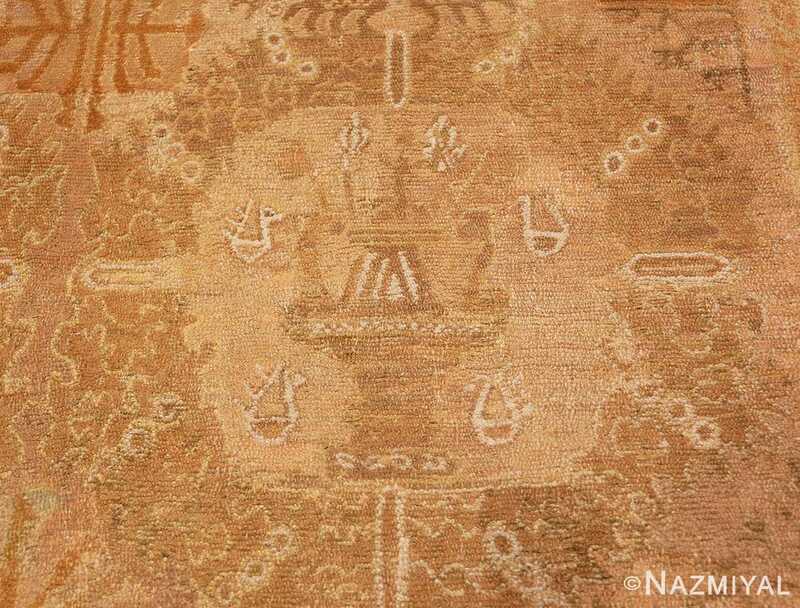 The size of the motifs gives the antique rug a sense of scale that makes it appear to be larger than its actual size. 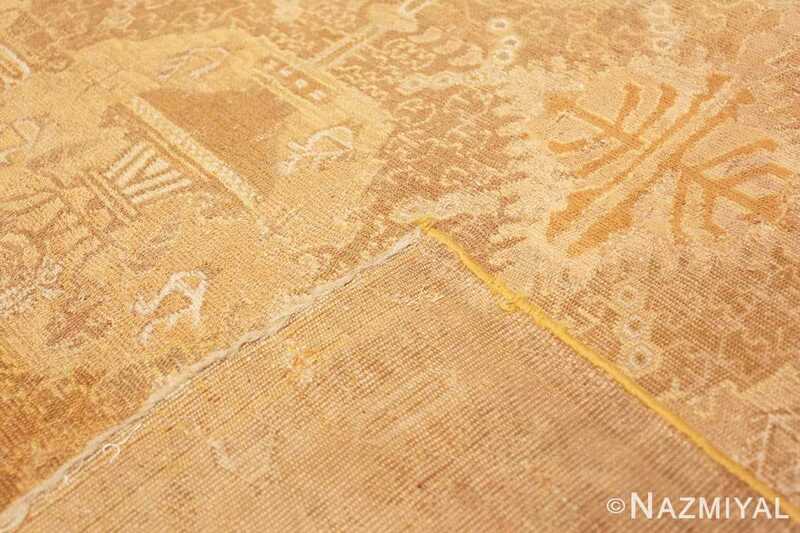 Even though the colors of this 17th century Spanish Alcaraz rug have mellowed over time, the formal character of the antique Oriental rug continues to stand out. This beautiful antique Alcaraz rug is a timeless treasure that represents an important time in the history of Spanish art. 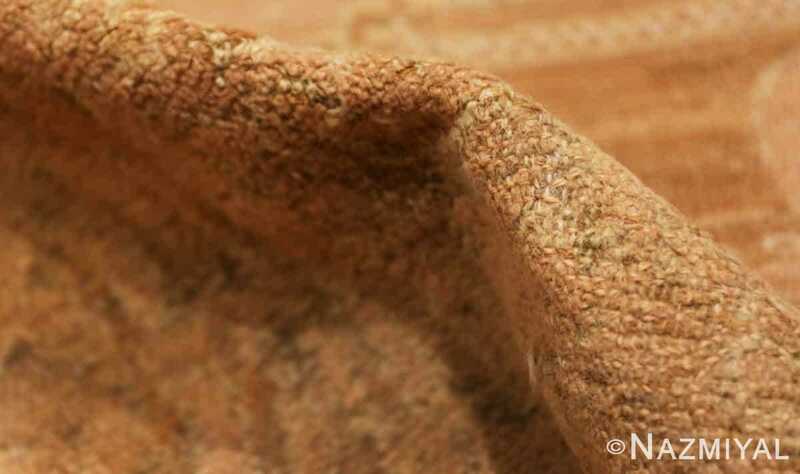 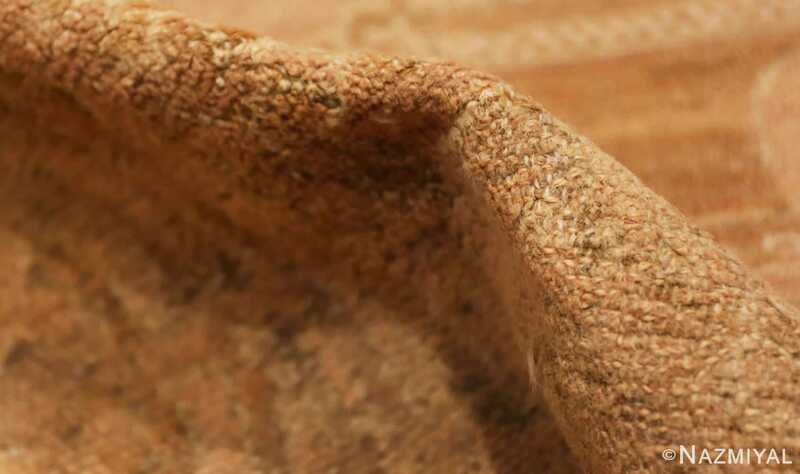 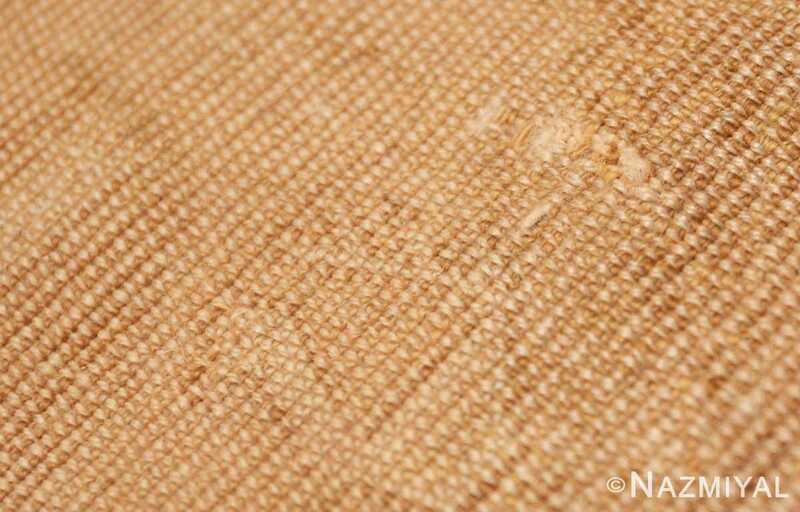 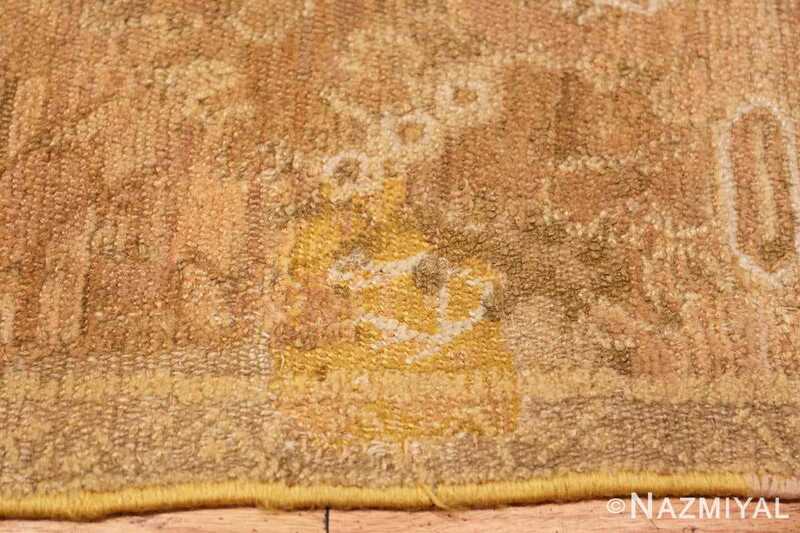 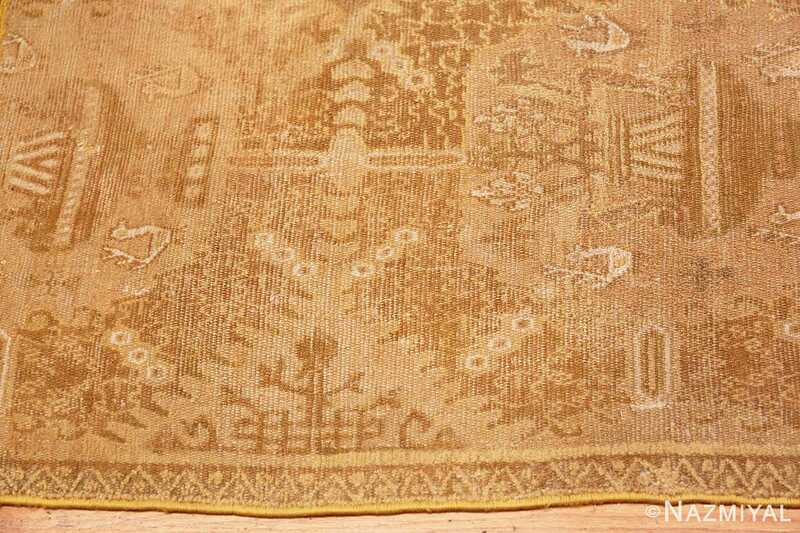 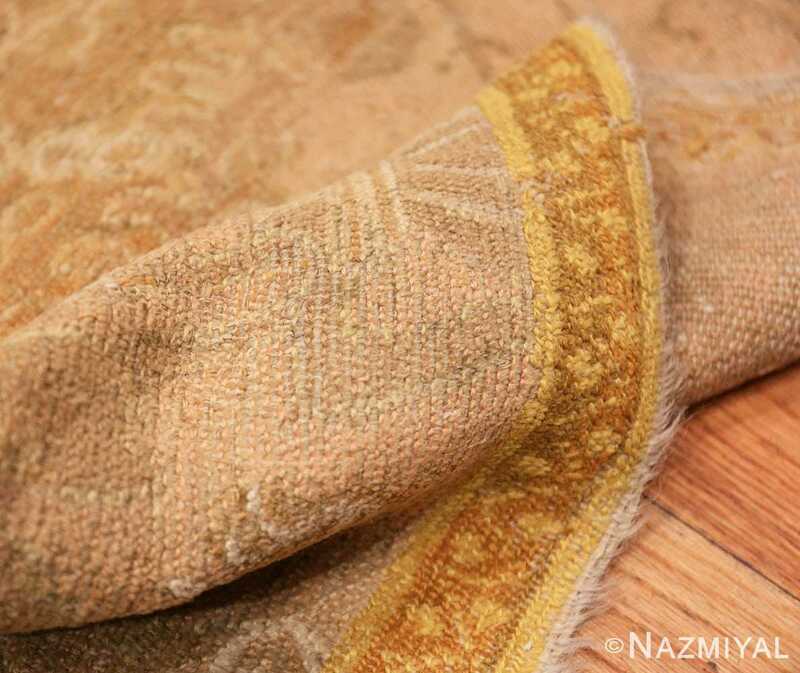 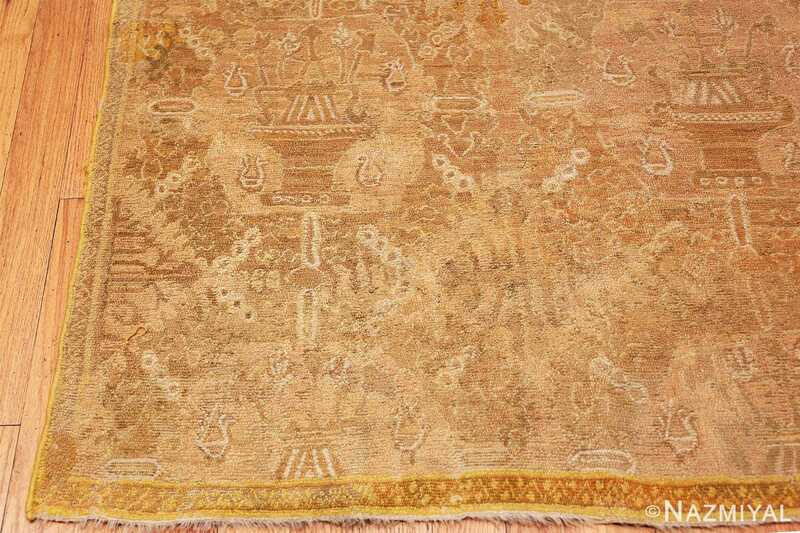 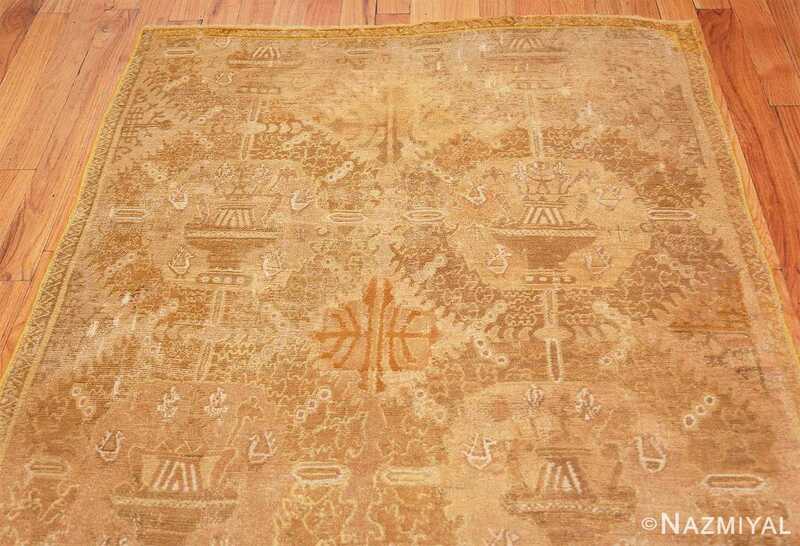 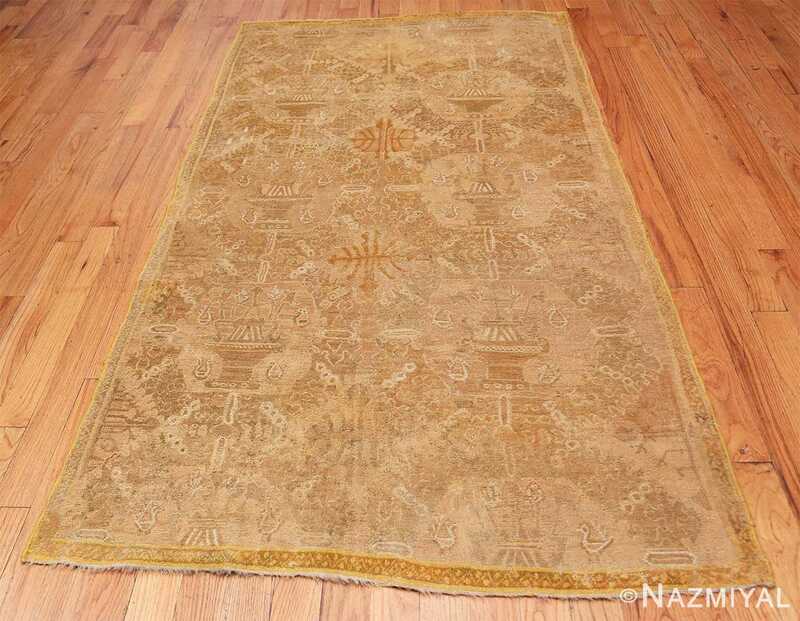 It would be a rare valued and coveted example for any antique rug collection. 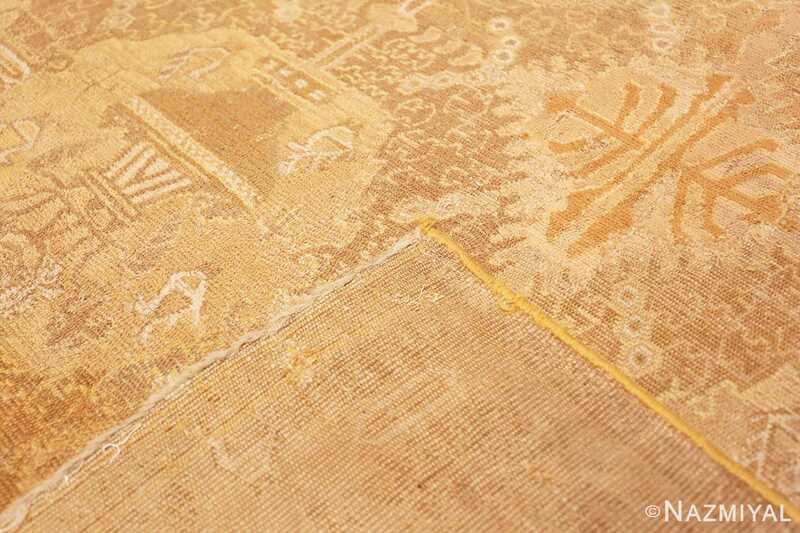 This small size 17th century Spanish Alcaraz rug represents a rare and beautiful find that will be a conversation piece for those who appreciate its place in the art and weaving history of Europe and the Spanish Empire.